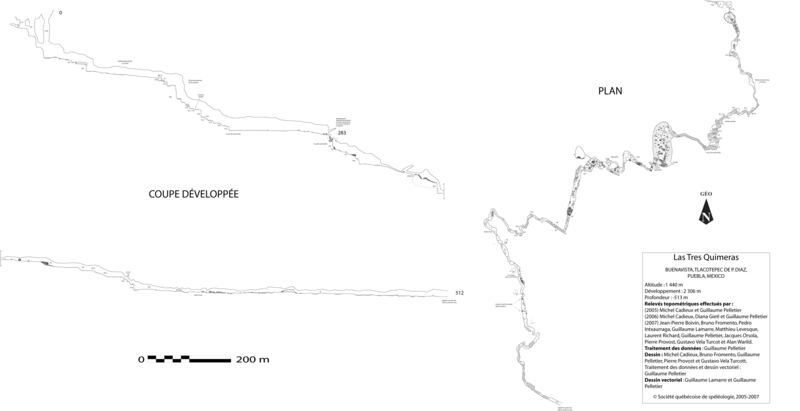 Since 1987, the Quebec Speleogical Society (SQS) has been leading an important cave exploration project in the heart of the Sierra Negra mountains, located in Mexico, called the Mexpé project. With more than 28 kilometers and 900 meters deep, the Sistema Tepepa is part of an impressive karst terrain which culminates at 3250 meters and from which water resurges a few thousand meters below. The group discovered a huge sinkhole in the area. 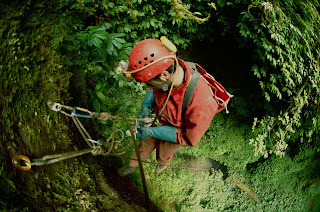 Their descend into the cave, called "Tres Quimeras" and the traverse to the resurgence, 800 meters below has been filmed by Marc Tremblay and Guillaume Pelletier.